Should Facebook let others check you into “Places”? Facebook’s foray into location-based services launched last night. And while Places borrows heavily from existing services available on Yelp, Foursquare and Gowalla, one difference is the way that Facebook plans to grow its new product. Facebook Places check-ins will be shared with users’ entire network of friends. And if users wish, they can check other people into locations. Perhaps predictably, there are some privacy issues with this approach. But it ensures that people who may not otherwise interact with Places are sure to know it exists. And unless objections arise, Facebook’s appraoach should be great for user adoption. Facebook Places offers little new for social media users who already employ location-based services. But mobile location services are still a new concept to many consumers, and Places could go a long way toward increasing their adoption. Take for instance the fact that Foursquare, the most popular location service right now, has 2.5 million users. Facebook has 500 million. If Facebook gets its users hooked on its version of the tools that already exist elsewhere, it could put these burgeoning companies out of business. For now, the company says it is not interested in accomplishing that. Facebook getting into location could increase the user base for those companies. But right now Facebook is interested in getting people using its service. And it is doing that with its huge preexisting user base and a few defaults that the others don’t use. For starters, the social circle for users on location-based services is more catered to seeing people in real life. Most people only friend people there that they know in real life. Facebook has become a place for larger digital connections. But Facebook is interested in its users sharing more, not less. And with people already sharing their check-ins on Facebook and Twitter, the company is betting that such restrictions will fade online. Once users are comfortable with sharing their location with their Facebook connections, they can happily go about checking into different venues. And unlike existing services, they can also check other people in. This option is likely to be big help with user adoption. Mostly because despite Places existence, there are plenty of people who will never use the feature. Unless it is forced upon them. Facebook users — or at least people who write about Facebook — don’t usually like having things forced upon them. settings to avoid having others check them in (and minors cannot be checked in by others) but Facebook thinks it would be cooler if they did. Sometimes that strategy bites back. But often, pressing the limits of user comfort has contributed to Facebook’s growth. In this case, Facebook is not diverging too terribly from the practices of other similar services. And it’s easy enough to opt out if users take offense to any of the new check-in features. But with Facebook, it’s always hard to know how people will react to service changes until they do it. Facebook may not be a retailer, but that doesn’t mean the company can’t sell gift cards. 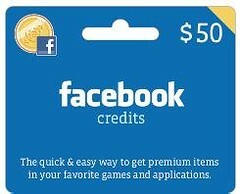 Starting September 5, Target will start selling Facebook Credits gift cards in stores nationwide. Consumers don’t necessarily need easier ways to spend money on Facebook, but it is a great trick to introduce more consumers to Facebook games. Free marketing for Target, too. Social media is a lot like a car: it’s easy to buy, but harder to maintain. Just as many of us buy a new car, only to neglect the day-to-day maintenance that will keep it running smoothly for years to come, many individuals and businesses buy into social media but fail to do what’s necessary to make the most of the investment. Emails from social networks are marked as spam 100% more often then those from other sectors, and in the case of Friends Reunited, one in four of its emails failed to reach the inbox. According to Return Path, the deliverability issue is partly a result of spam complaints from recipients, which suggests that social networks need to take a closer look at the issue.